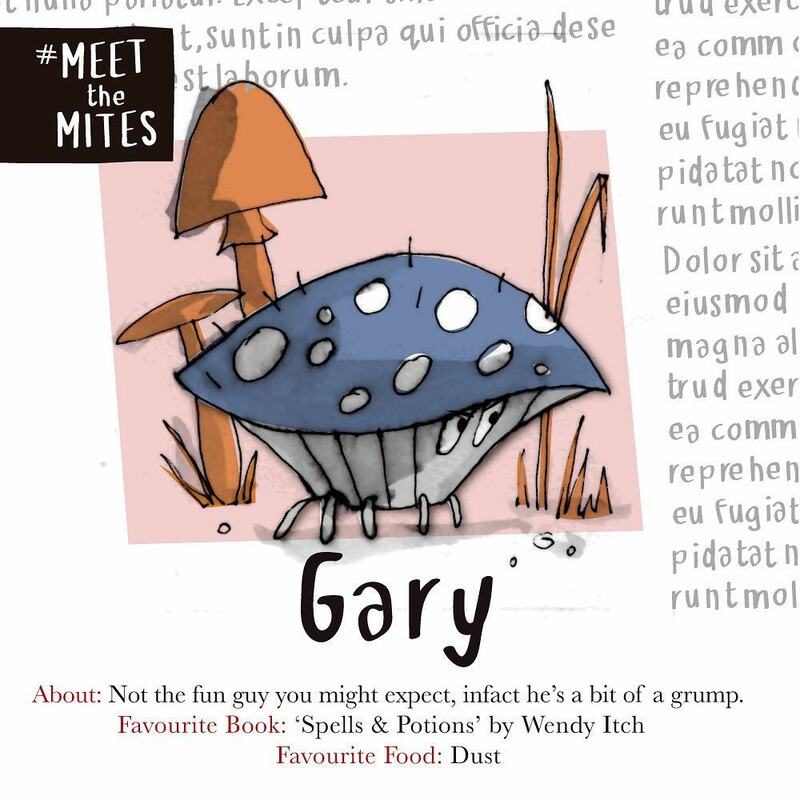 We’re incredibly proud to announce that one of our very own has written, illustrated and published a children’s book ‘The Book Mites and the Spider‘. 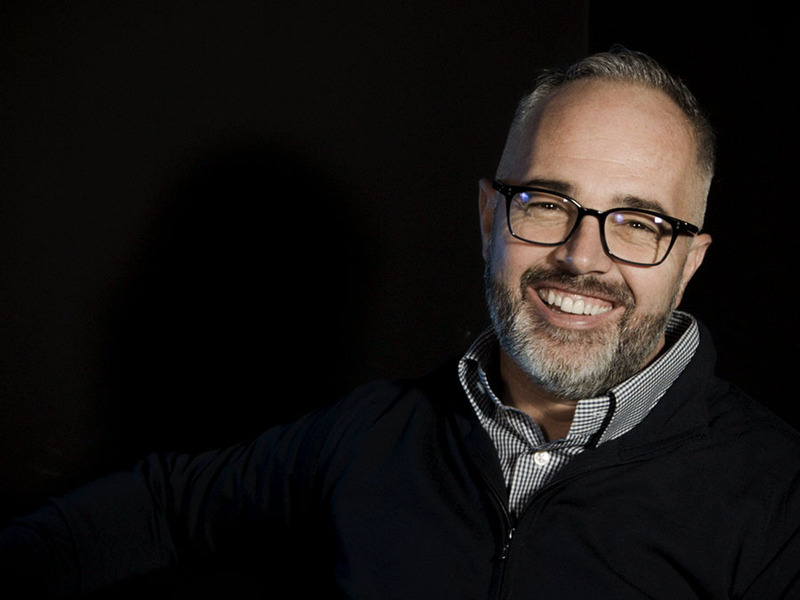 Matt Bruty has a wealth of experience within the design industry from Illustration to Graphic Design and we’re pleased to have talented individuals reach their ambitions in our midst. Having recently written and published his book, Matt commented: “I’ve always wanted to write a book since as long as I can remember. When my own kids came along I started seeing the shows they would watch and something clicked in my head and I got to work. I felt there wasn’t a lot of personality or variation out there so, I thought that characters living in a bookcase would be a great vehicle for a series. Since then I’ve built off of the idea and the Book Mites were born”. Of course, creating a book is long and hard work that doesn’t get done by itself. Usually, a team consists of illustrators, writers and a publisher but, Matt took all of these roles upon himself. Hearing more from Matt he said: “This book took 6 years of late nights off and on. It was never something I was in a rush to finish, it was more of a passion project in my spare time. I actually almost completely finished the book twice, but I wasn’t completely happy with it, so I rewrote and reworked my illustration style. My youngest child is now 3 and really into her books so I thought I’d better hurry it up before she grows up too much!”. Despite only recently being published, Matt’s book has already been hitting its stride recently distributing copies to the States and even India! 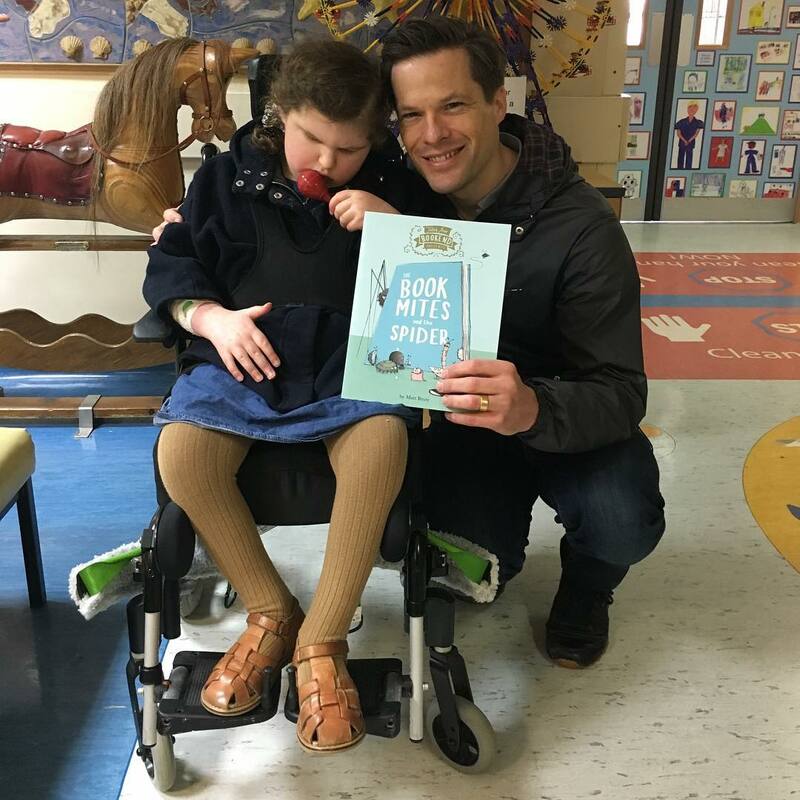 He’s also very active in local schools, helping children to read and share his book. 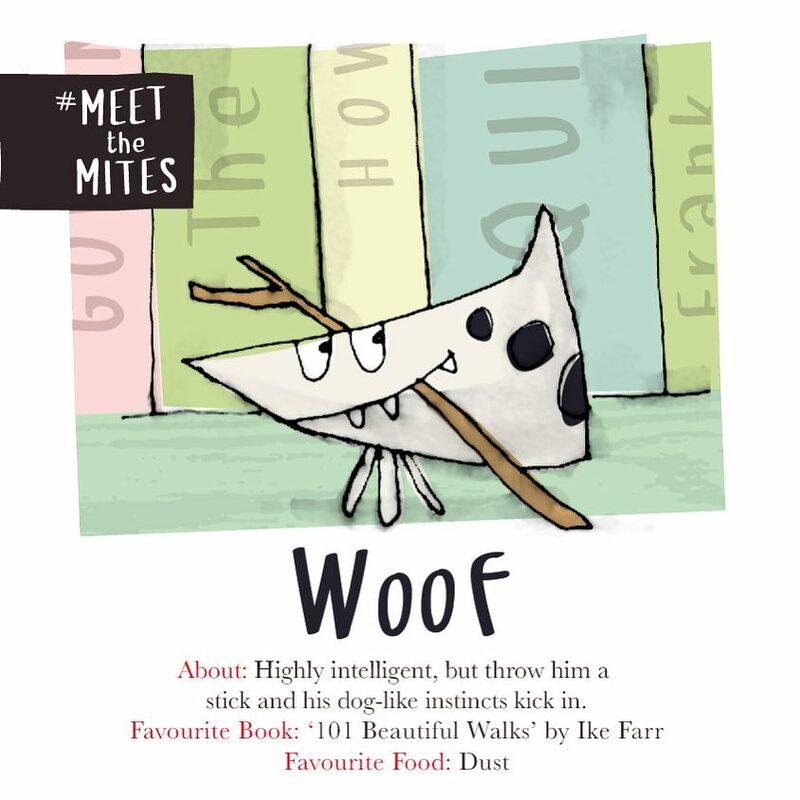 To accompany his book, he’s created his very own colouring sheets featuring the Book Mites for children to colour in. 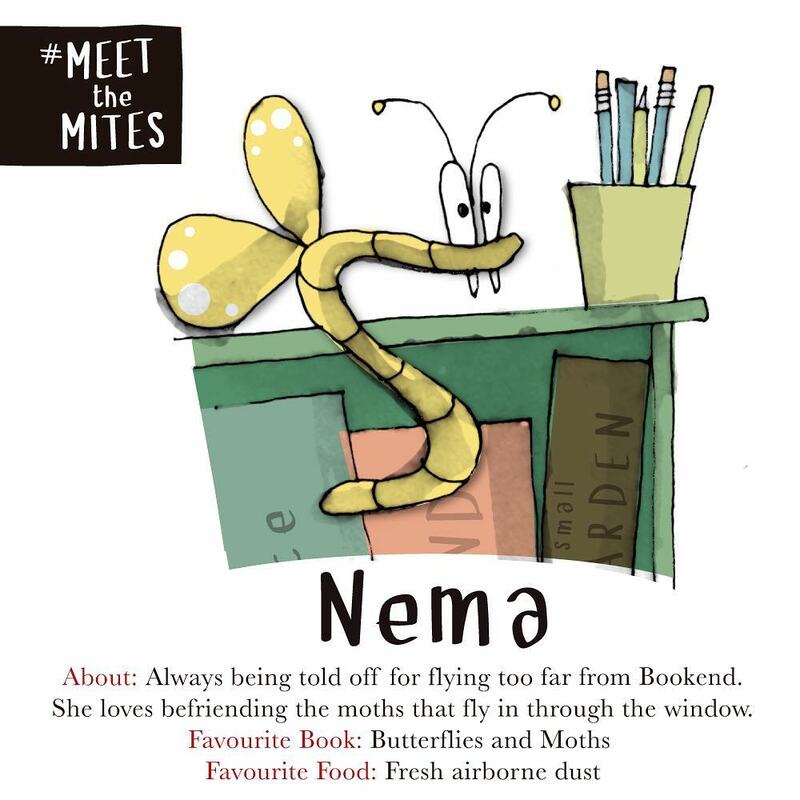 Within this short time, Matt has also single-handedly built an active community on his Instagram with readers sharing their favourite photos with the Book Mites. 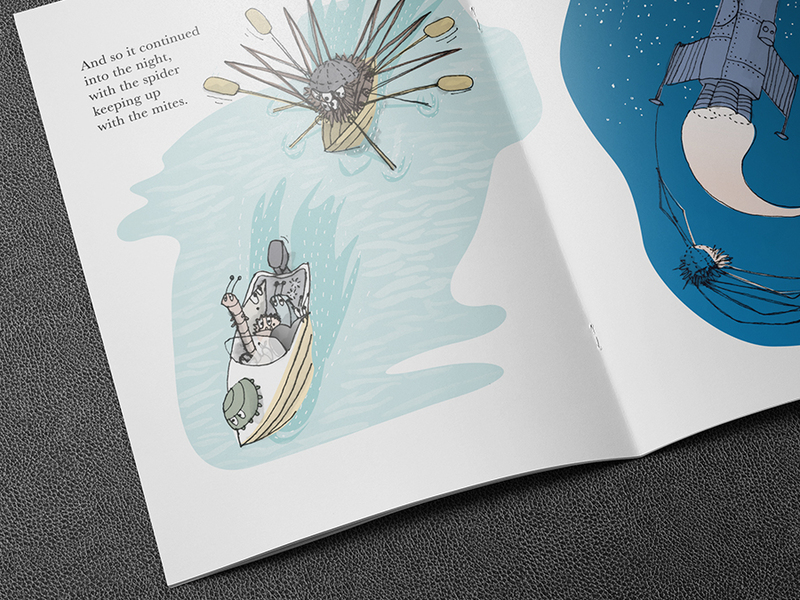 With the creative illustration seen in the book, we just had to know what led Matt to develop such an interesting style for his children’s book. Matt told us: “When I think about the books I read as a kid, they were the ones that moved me and often spooked me a little bit. To me, this was down to the illustration style and not so much the words. 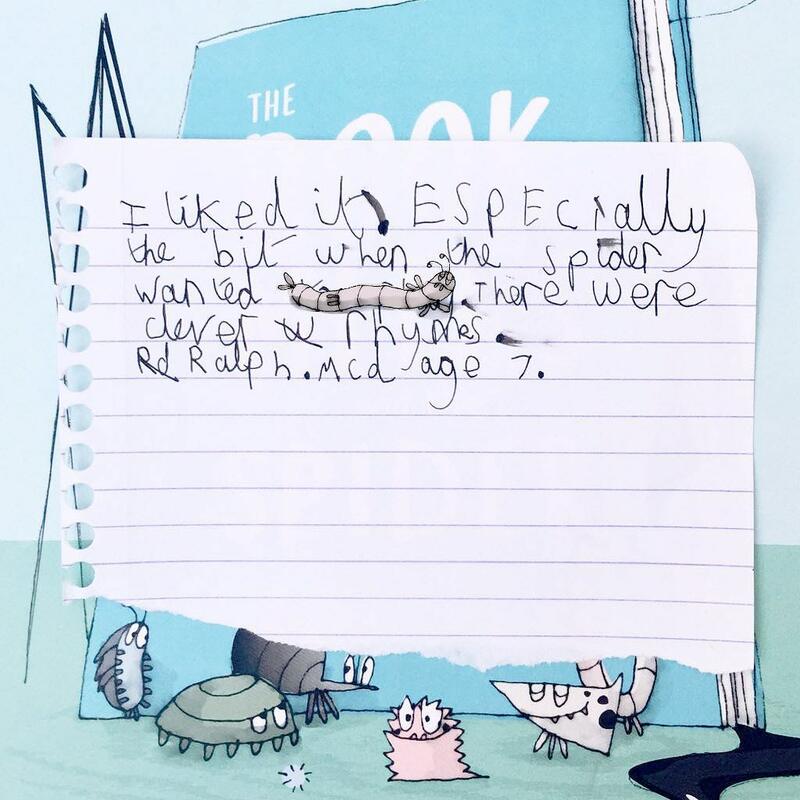 I particularly remember getting lost in the illustrations of Stephen Cartwright, Alan Ahlberg, Ted Geisel and of course, Quentin Blake.” Adding “I really wanted to emulate these emotions that I felt in my own book. For the writing style, I’d always liked the writing style of Julia Donaldson. The way she plans out a story is always so perfect, and then to make it rhyme and flow just leaves me in awe. My eldest daughter is also a fan, so I really wanted to draw inspiration from that style.”. Matt was nervous but stoked when his first few books went to press. The test was very important for him as wanted to be completely sure of how they would look. Being from a digital and print background, Matt really knows the ins and outs of book printing so was keen to check how the colours turned out in the physical release. Matt spoke a little more about his experience: “Being an insider on the print trade has really helped me out. Solopress have done me proud with the printing. I was really pleased how the subtlety of my illustrations and colours came out in print. 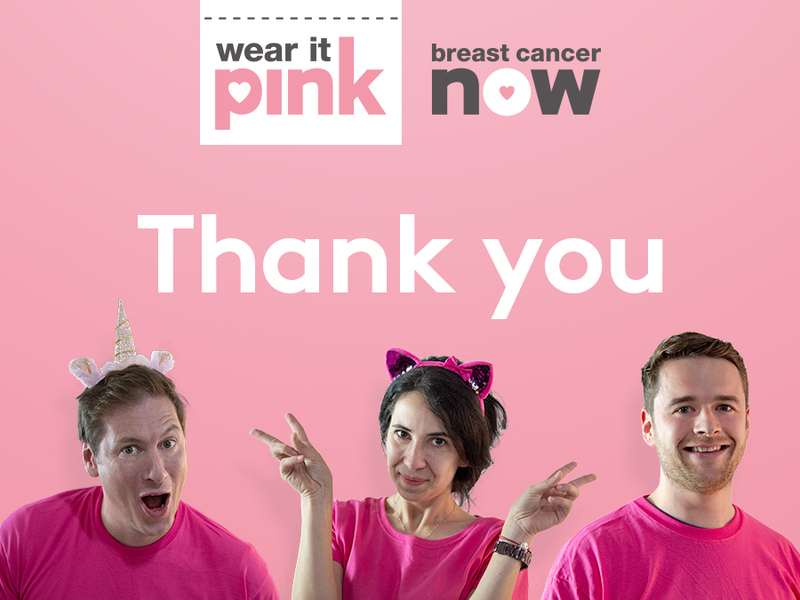 As soon as I saw the finished product, I was immediately proud of the product I’d produced.”. 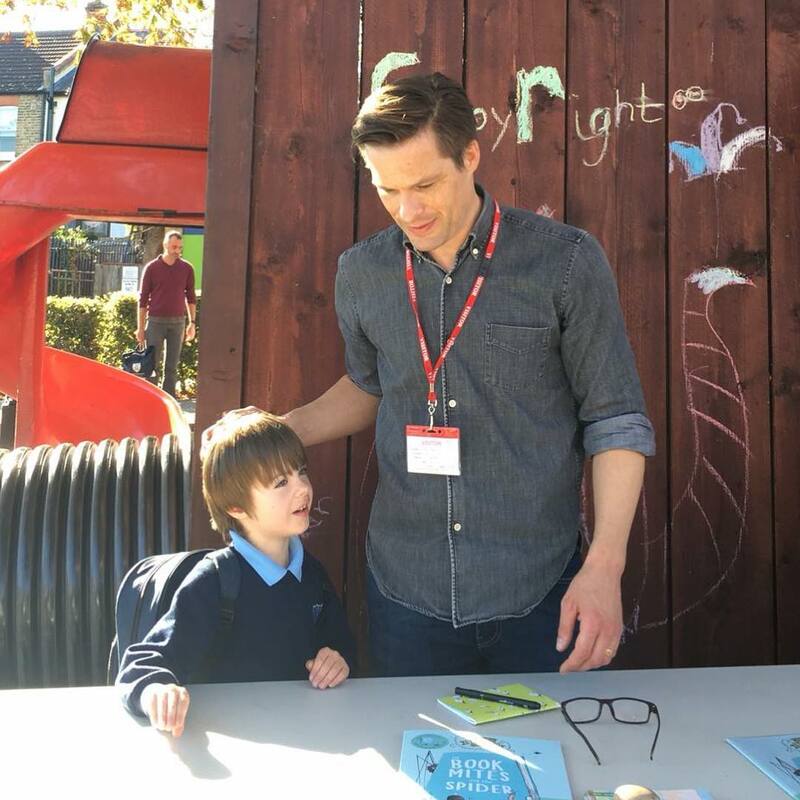 Building off all of the momentum and success his book has already found, Matt filled us in with what he’s got planned next: “I’ve just self-published so my focus at the moment is visiting schools and building my social following. 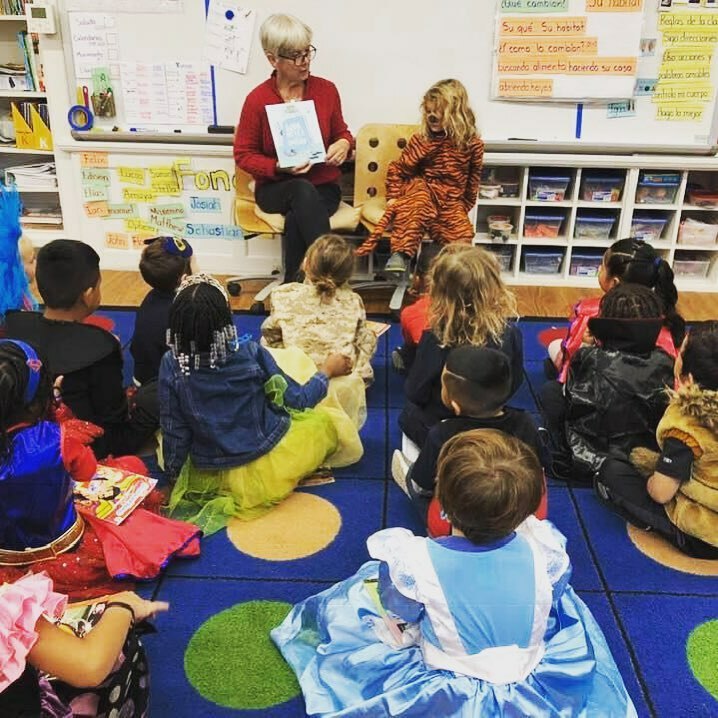 In the long-term, I hope to get a literary agent and go from there. My next book in the series is written and half illustrated so my focus and excitement are currently on that.”. We’re all looking forward to seeing where Matt’s publishing will take him in the near future. 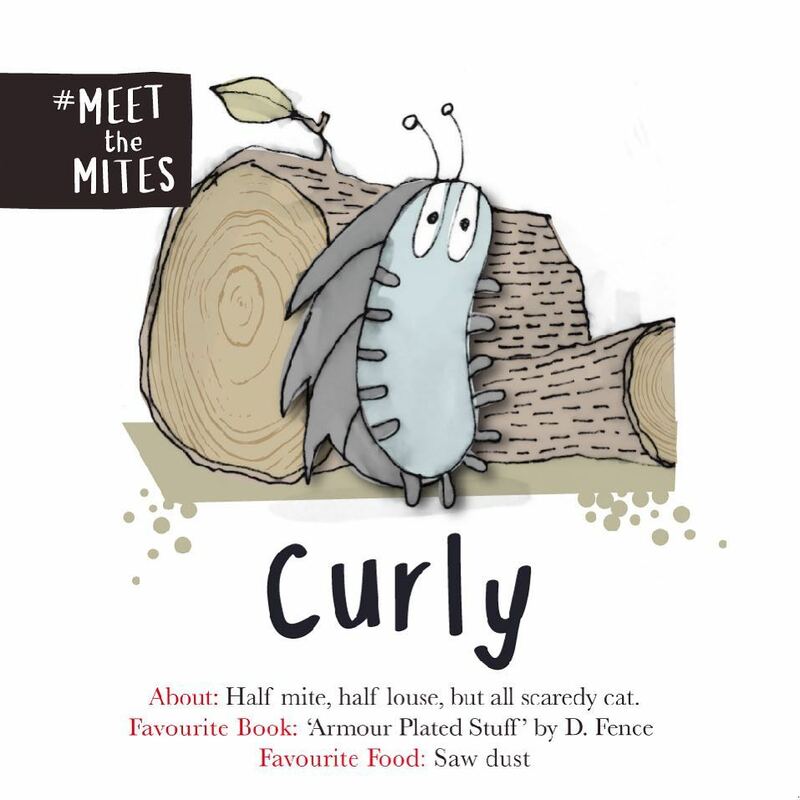 If you’d like a new interesting read for your children or would like to support Matt and his Book Mites, please go and purchase your own copy of the book. 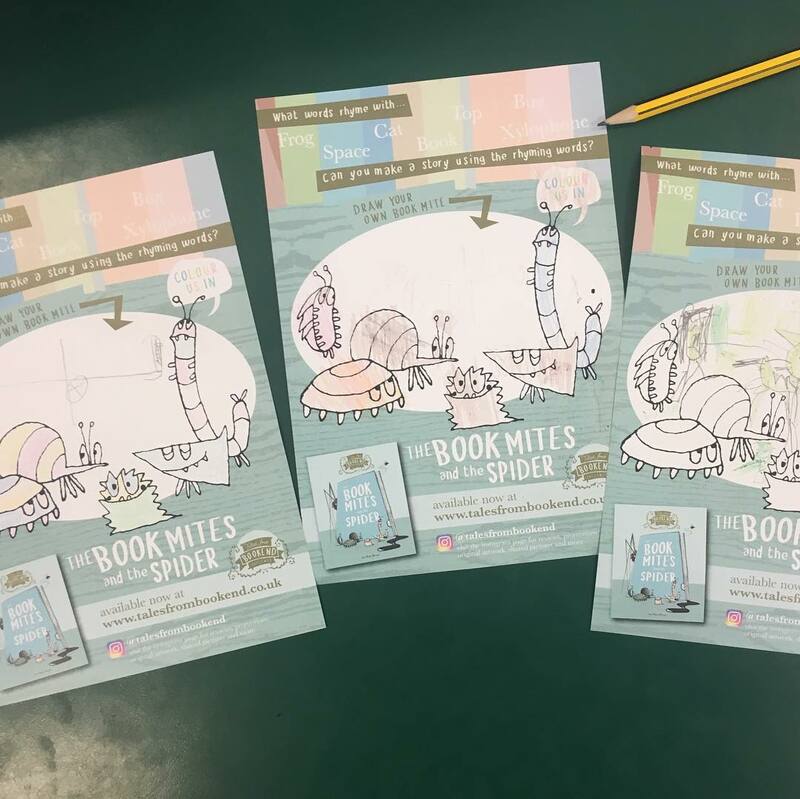 A lot of us have already read ‘The Book Mites and the Spider’ and we loved it, plenty of our children did too! So much so that they are asking for more, so no pressure Matt! We won’t spoil anything but, it’s certainly special and unique, it’s a book that will make you and your kids ready for more Book Mites. You can buy the book from his website for the very reasonable price of £6.99. 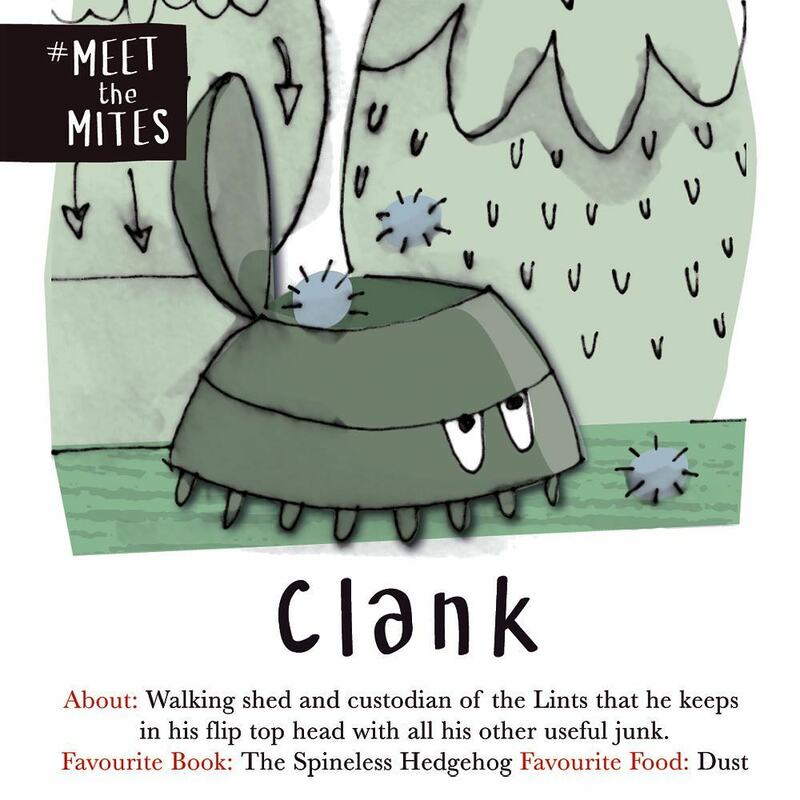 If you like the book, be sure to share your experiences with him on his Instagram page and become a part of the Book Mite community. 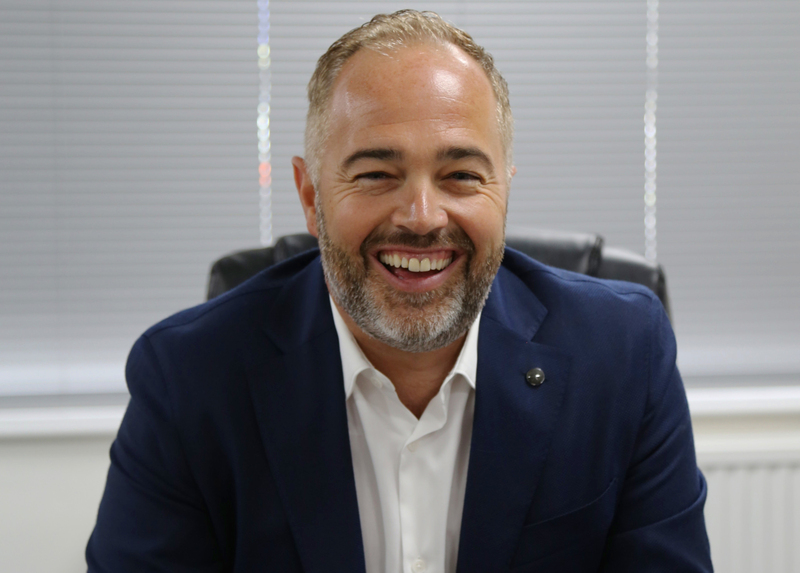 Next articleSupport Solopress Co-founder for PrintWeek’s ‘Power 100’ nomination – Vote now!